Litchfield Grange will hold a concert tomorrow evening, featuring the band "Just Friends," as it's annual fundraiser. The concert, running from 7 to 9 p.m., will take place at the Litchfield Grange Hall, Route 202, where the concert’s audience will sing, dance and experience the talents of the popular local band. The concert, part of the Grange’s annual effort to send local children to Berger Camp in Winchester, will enable four kids to visit the camp this summer, double the amount of children the Grange usually awards with a camp trip. "Every child should have a chance to go to camp," said Grange Master Janet Healy, "this program is our way of helping more kids experience the camp, who otherwise couldn’t afford it." 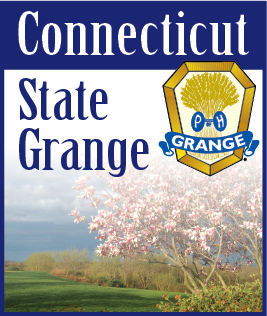 The Grange chooses local families experiencing financial difficulties or from other community groups who know of families in need, choosing children to send to camp, which is done in complete anonymity. "Sometimes we don’t even know the names of the children we send to the camp if a child is awarded through a different community organization," said grange member Pat Green, "the important thing is that the kids are enabled to experience camp." Just Friends band member Jeff Greenwood, returning to the play at the Grange for the second year, said he is happy to play for the benefit of the program, and looks forward to "packing the room" again. "We have a lot of fun," Greenwood said, "the band is like a family, and we all get along great." The band, which includes Zoe, Greenwood’s wife, Dan Thomas and Bruce White, all Morris residents becoming "just friends" seven years ago, who, after realizing they all sing and play instruments, began playing together across Rhode Island, Conn. and Mass., playing traditional, gospel, and contemporary blue grass music. Tickets to the concert are $10 for adults, $5 for children ages 10 -16 and is free for children ages 10 and under.